Home » Featured, Miscellaneous, People & Places » Will there be a criminal investigation into passport scandal? Will there be a criminal investigation into passport scandal? While the Ministry of Immigration is investigating itself, there has been an open call for a criminal inquiry into the issuance of the fraudulent Belizean passport to South Korean businessman Kim Won-Hong. On Tuesday, a formal report was filed by talk show host Evan Mose Hyde requesting the involvement of the Belize Police Department in the matter. But this afternoon the Prime Minister pronounced that having pored over the evidence and circumstance presented to him, Barrow threw cold water on the notion of a criminal investigation since he has decided that the merits of that argument cannot be sustained. The issue of Kim Won-Hong’s absence from the nationality process, according to Barrow, does not advance the assertion that it was a criminal act. he is protecting himself, Beano, and the UDP that keeps him in power. penner is colateral damage, as long as penner does not spill the beans and rats the party out. so most definitely penner has not commited a crime, therefore no further investigation, and very much so, no trial. No WHERE IN HIS EMAIL DID PENNER SAY THAT MR. Wonhung Kim was in JAIL when he signed the documents, and if he was in JAIL why did he sign a Nationality Certificate, the Declaration form, and photographs, which specified that he knew Wonhung Kim for 3 years, so a passport can be prepared? 1: “What I do know is that (an) Asian person whom I have known through business trips, even before I entered politics, came to me for a signature so he could get HIS passport. 5: the passport size pictures that I also signed did not raise any suspicion since they were all of the same person. 7: Penner’s email said, he wanted to help the business person and personally went with Wonhung Kim to the passport office to: and we quote, “see to it that he would get proper attention and would get HIS passport the same day.” End quote. The Prime Minister Of Belize, OUR PRIME MINISTER is saying that they knew Wonhong Kim was in JAIL, but Penner was accompanying Wonhung Kim, every step of the way to ensure that he was well attended to. No where in his letter, did he say someone, NOT WONGHUNG KIM brought the documents to him. After all he knew this man even before he entered politics, which could be more than six years! LOL Can you people make better sense out of this, than the PM? DO YOU THINK Penner would have accompany us poor Belizeans, to ensure we get the best treatment at Immigration if we were in the same situation? Can the MEDIA check to see if Mr. Eric Chan received a passport for himself on the 9/9/2013 so he could go on a BUSINESS TRIP as a business man to Taiwan? A true 3rd world leader at work. Bandits bandits bandits, with no shame. Someone needs to beat all of them with a shame stick. and the poor fool fool Belizeans will vote for them again and if not for.them they will vote for the last ones they threw out of office for stealing..
Wake up. wise up and rise up Belize! How long will you allow these unscrupulous politicians play with your brain, washing and sub-planting whatever they want you to think and believe. what has the media lack to find is, who was the man that was dealing with Penner while the passport was being process? can be pin point the man who lied to him about it also. that person should be criminally charged for forging false document, but wait nothing is heard of such asian man known to penner. only penner, Mr. kim and Eric chan. really there points that are missing in this investigation. mein they are mixing up themselves but bet it will fade away as time goes by and nothing will happen since barrow is on his side even if he denies it, it’s clearly obvious. that monthly payment is the rest penner must be collecting from Mr. kim. shame,shame on pm barrow,as a lawyer? pls he is just spliting up his face and its just gona drop back eh face again,pls pm stop cover ur corruptions,well penner’s one-plssss do di right ting we Belizeans da no fools,da fool di talk but da no fool di listen”.plsssssssss people of Belize wake up we cannot allow dis madarassss to continue mein dis gone too far.Belizeans deserve better.this gone tooooo farrrr.1st-plane landings at the phillip goldson int’l airport at night with chinese nationals? lands dept corruptions,rosewood corruptions? KHMH inquiry report about corruption? NOH-MULL maya ruin destroyed by UDP crony mr.grijalva? KHMH 13 babies that died due to the ministry of health incompetence/ignorance ? SIF corruption? PENNER/PASSPORT CORRUPTION? wat moreeeeeeeee? f6%& while thousands are unemployed,failing health depts/hospitals, poverty growing every day,high cost of fuel,high cost of groceries/living/ failing infastracture across Belize/ murders,robberies, and wat will be next? 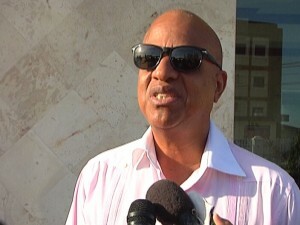 The elusive former Minister of State, Elvin Penner meets with the P.M.
Will a recall be triggered by passport scandal? How did Kim Wonhong obtain Belizean nationality? Immigration system overridden…how did detained South Korean picture end up in Belizean passport?